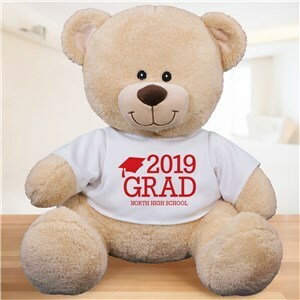 Cuddly and customized, our sweet personalized graduation bears are perfect of for any new 2019 graduate! A mixture of sentimental and useful - this bear can travel with your new graduate to a dorm room, or just cuddle up at home. Check out the cute options we have waiting for you! This cutting board is great...... The personalization choices, quality and timely shipping couldn't have been better. I bought three for Xmas gift baskets and know the recipients will totally enjoy and love! 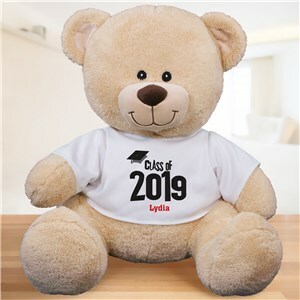 Find even more unique gifts for 2019 graduates, all personalized for you free! GiftsForYouNow has all the best gifts for every occasion - check out what makes us the top personalized gift site online!